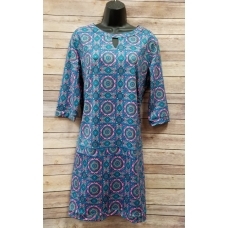 You are sure to love this cute and fun Erma's Closet Navy and Hot Pink Print Uneck Dress. ..
You are sure to be the hit of the party in this fun and funky print top by Erma's Closet. 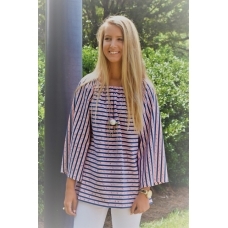 This..
You are sure to love this Erma's Closet Navy and Orange Rope Print Tunic with jeans or white bottoms.. This Erma's Closet Octopus Print V-neck Dress is fun for summer! 91% Polyester 9% Spandex .. 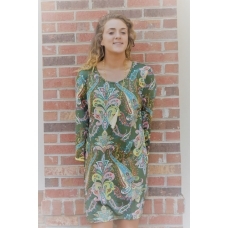 This Erma's Closet Olive Bell-Sleeve Dress with Ric Rac Trim is fun and funky and perfect for Spring.. This Erma's Closet Orange & White Circle Medallion Keyhole Dress with Bell Sleeve is great.. 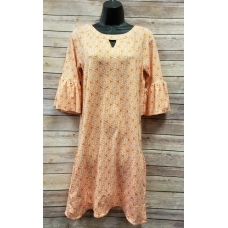 This Erma's Closet Orange & White print Carwash Dress is fun for Spring and Summer! ..
What a fabulous top for Fall. 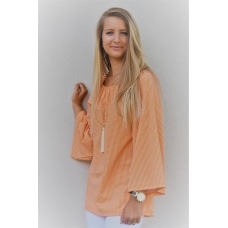 This Erma's Closet Orange and White Gingham Print Tunic is great.. This Erma's Closet Orange Stripe Ruffle V-neck Dress is great for work and play! 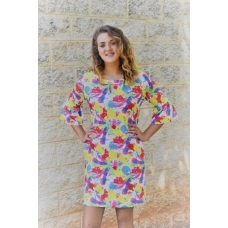 80% Pol..
You are sure to love this splash of spring Erma's Closet Paint Splash Key Hole Dress. It.. 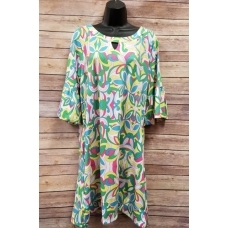 This Erma's Closet Pastel Keyhole Dress with Bell Sleeves is Cute for Spring! 95% Polyester 5%.. 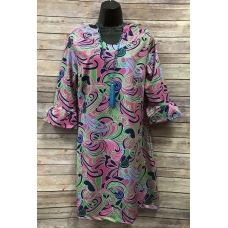 Whether you are going to work or going out you are sure to love this Erma's Closet Pink & B.. 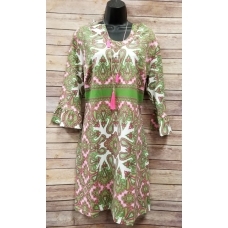 This Erma's Closet Pink & Green Paisley U-neck Dress is Preppy and fun for Spring and Summ.. 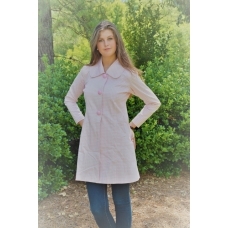 This Erma's Closet Pink and White Checkerboard Scoop Neck Dress is great for Spring! 91%..